The Allahabad High Court today commuted the death penalty awarded to Surender Koli in relation to the Nithari Killings to life imprisonment on account of "inordinate delay" in taking a decision on his mercy petition. The Division Bench headed by Chief Justice Chandrachud, also having Justice P.K.S Baghel said that the execution of the death sentence awarded to Koli would be "unconstitutional in view of the inordinate delay." The commutation of the death sentence was granted in a petition filed by NGO People's Union for Democratic Rights (PUDR) that had submitted that if the death sentence were executed, it would be a violation of Right to life and personal liberty. Thereafter, Koli had filed a petition himself, taking the same grounds as taken in the previous petition. The High Court had then clubbed the two petitions and gave its judgment today. 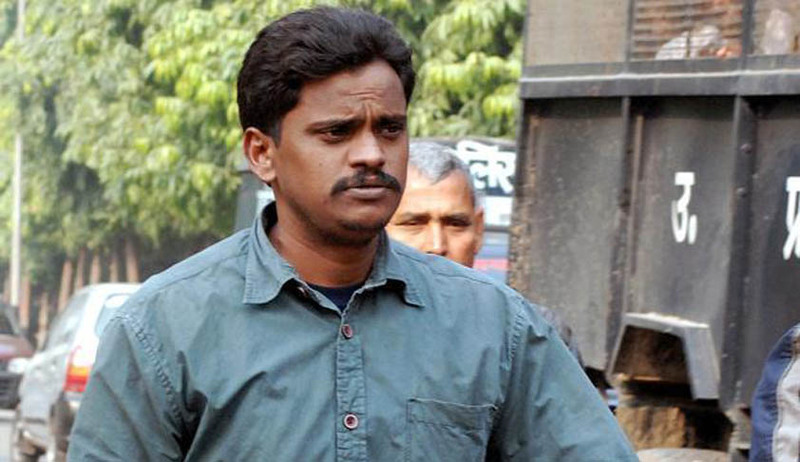 Koliwas awarded the death penalty by CBI Court in Ghaziabad on February 13, 2009. His appeal in the High Court was rejected on September 11, 2009, while the High Court acquitted co-accused Moninder Singh Pandher. Koli further challenged his conviction before the Supreme Court, which also dismissed his appeal on February 15, 2011. His review petition was also rejected. Surinder Koli had also asked for mercy from the Governor of Uttar Pradesh, who decided against the same. Thereafter, his mercy application was forwarded to the home ministry, and the President turned down the same on July 20, 2014. Koli’s death warrant was signed on September 2 and he was all set to be hanged on September 9, 2014 but the Apex Court had then stayed his execution, so that he could file an appeal. Opposing the petition filed in the High Court, the Centre took a stand that, "the convict (Koli) had not filed a petition (at the time of filing of the PIL) challenging the rejection of his mercy petition". However, the High Court had then said, "The proceeding which has been instituted before this court is not in the nature of an appeal on merits against the order of conviction." It also said, “The petition seeks to question the constitutionality of the execution of the sentence of death in the present case, on the ground of a delay on the part of constitutional authorities in disposing of the mercy petitions." Thereafter, the Court today came out with its judgment, thereby giving a fresh lease of life to Surider Koli who has been convicted for killing several girls. You may read more of our coverage of Nithari Killings here.